For drivers looking for a premium luxury vehicle, there’s a huge range of models to choose from among the new Mercedes-Benz vehicles at Mercedes-Benz Burlington, with features like COMAND® with navigation, mbrace® Connect telematics, the Mercedes me remote app, safety features like DISTRONIC PLUS and 4MATIC® all-wheel drive. Explore the new Mercedes-Benz lineup below! Find Your Next Luxury Car Near Hamilton Today! 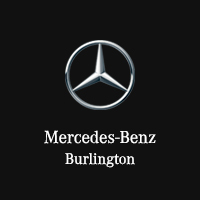 Experience it all today at Mercedes-Benz Burlington, your Milton area Mercedes-Benz dealership. Got questions? Don’t hesitate to give us a call!